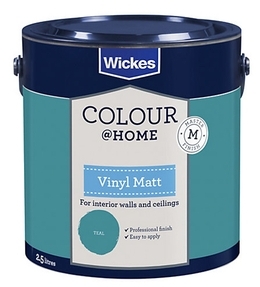 The retailer Wickes has launched its first range of paint for the DIY home decorator. 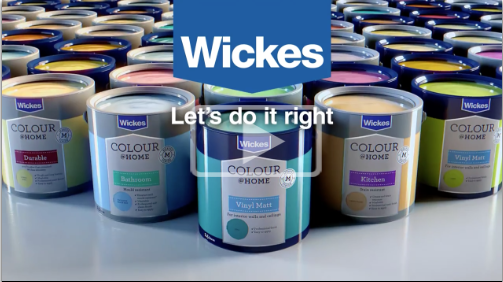 Famous for its vast range of trade products Wickes has ventured into consumer territory to compete directly with B&Q in the highly competitive home paint market. The Colour@Home brand was created by BrandVoice Marketing Group who were invited to work on the launch due to their huge experience in the DIY and paint categories. BrandVoice reversed the Wickes chevron logo to become a house/home branding device. This clearly differentiated the range from the existing Trade range in store. The colour shows through the clear packaging to help selection at point of sale. BrandVoice also refreshed and updated the Trade range. 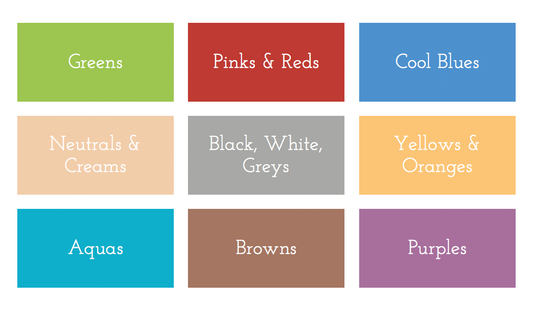 The Colour@Home range has a great choice of colours with over 164 broken down into nine colour groups.